The people who drive fire apparatus are the most important link in the fire fighting process. It is their job to deliver Firefighters to the scene of any call for help. If they are driving a fire engine, they will be in charge of supplying water to the men handling the hose lines. For anyone deep into the interior of a fire, this is a matter of life and death. Sometimes a fire engine operator is called on to do more. FEO Joe Zyla did this at the warehouse fire where we lost three good men. When a flashover caught the men in a rolling fire ball, it was Joe who ran with a ladder to rescue those who were hanging by their finger tips from the windows of a three story building involved in a raging fire. 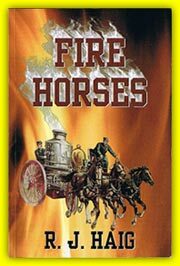 You could call these guys the “Godfathers” of the Fire Department. They do not operate as officers in charge, but we all know they are the people who really run things. I received the following tale from one of the good ones, Nelson Kreimes, who ran at Engine 17 in the Cass Corridor of Detroit. This is Nelson’s story. I will always remember Devil’s Night 1984. The village idiots were out of control. They were trying to burn the city down. 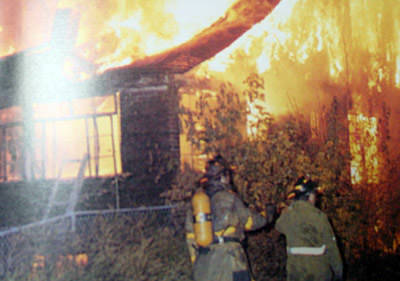 A state of emergency had been called and numerous fires were burning all over the City of Detroit. We started out around 5:30 PM. I was driving Engine 17 that day. My riders were Sgt Big John, SFF Dan, and FF Andy. It was my job to deliver these guys quickly and safely to the scene of any emergency we were called to. I always took pride in the fact that I drove as fast and as safely as I possibly could. We were always trying to steal fires from other responding fire rigs by getting there first. We had been to several small fires and were returning to quarters to get fuel. As we approached our quarters, we could see a Dearborn Michigan fire engine sitting on our platform with black tape covering the words Dearborn on the door of their apparatus. Dearborn was considered a racist city by the rioters in Detroit so they were in danger of being attacked while trying to help save lives and property. Dearborn was going to follow us to fires to give mutual aid. 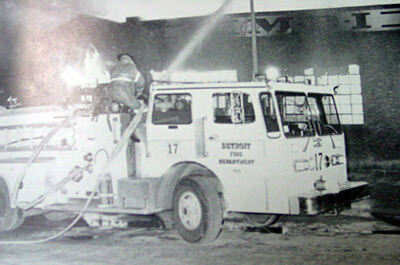 It was the first time since the riot in 1967 that Detroit requested mutual aid. Devil’s Night 1984 was a dangerous night. We fueled up and went in service. We were immediately dispatched to a fire at E.Philadelphia and the E. Chrysler Service Drive. The dispatcher told us to take Dearborn with us. As the troops were mounting the rig, SFF Dan asked one of the auxiliary cops, who had been sent to all firehouses, if she would like to ride along. She said yes. Sgt. Big John agreed and told Ms. Auxiliary to ride in the cab. He told her to brace her feet on the dash board and hang on!! Dearborn was following us as we turned onto W.Grand Blvd. SFF Dan said, “Bet you a buck you can’t lose them.” No problem... bet on. As we approached the Chrysler Service Drive there is a railroad bridge where the road takes an “S” curve. Well, with the right conditions, I can do a controlled skid to the left and then a skid to the right and not really lose any speed. As I started my skid, I look in my mirrors and apparently Dearborn is coming to a complete stop at all lights. (Remember you are in Detroit.) I tell my Sergeant I am going to wait for them, so they don’t get lost. By the way, I have already won the bet. While we were waiting, several seconds, maybe a minute, I notice a foul smell in the cab. As Dearborn approaches, I continue on and we have a working fire in a dwelling. We call it in and let Central Office know that Dearborn is with us. After the fire is knocked down, Sgt. Big John comes back to the rig and I asked him if he had passed gas back at that “S” turn on the Blvd. He said he thought I had. We both looked in the direction of the rig, and there still sitting in the cab was a pale shaken Ms. Auxiliary cop. We both grinned at each other and finished up business. You guessed it, I had actually scared the crap out of her. Upon going back in service, we were ordered to respond to a vacant dwelling fire at E.Euclid and John R. On arrival we found a two story building totally involved on fire. We went to work. The fire was so intense, it actually scorched the paint off the officer’s side of the rig. Ms. Auxiliary remained in the cab the entire time. A couple of hours later we finished up and called in service. We were lucky to make it back tp quarters without picking up another fire. When we got back, Ms. Auxiliary cop made a bee line for the bathroom. When she came out we asked her if she would like to ride with us to our next fire. Her answer was a resounding no thank you. To this day I believe I am the only Fire Engine Operator to actually scare the crap out of someone in the true sense of the word.